Knowing that customer experience is often the differentiator driving customer loyalty and advocacy, it’s top of mind in nearly every B2B organization. However, some companies fail to understand that the customer experience begins before the purchase, not afterwards. Companies that seize the opportunity to differentiate with a pre-purchase experience that stands apart will reap the rewards. Quite simply, optimizing and improving the customer experience early in the buyer’s journey can dramatically impact revenues. 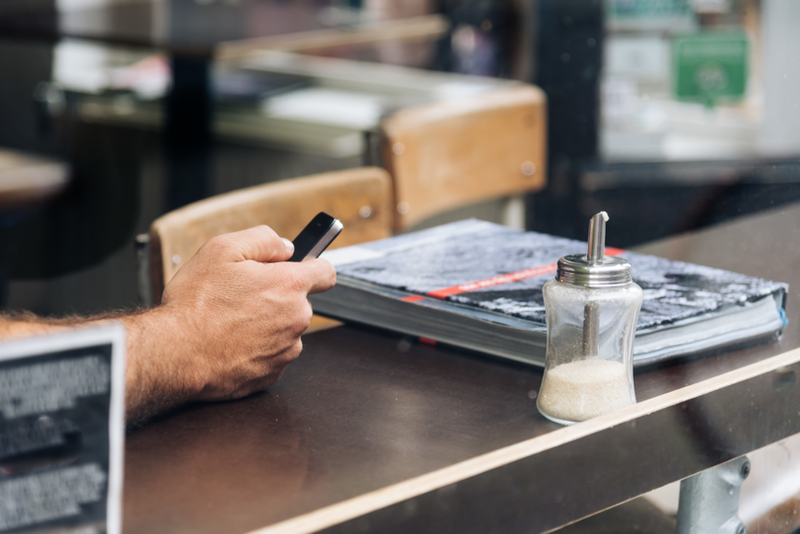 Facilitating the customer experience before the sale means ensuring that prospects can access the content and resources they need, when they need it. Improving that experience presents a prime opportunity to better engage and convert more buyers. In an environment already characterized by dissatisfaction, a “spray-and-pray,” product- Marketing campaign success hinges on enough buyers being at the stage in the journey that aligns with the campaign offer or content. However, this is hit or miss – and more often, it’s a miss. What this boils down to is a very unsatisfactory customer experience preceding the vast majority of B2B purchases. In an environment already characterized by dissatisfaction, a “spray-and-pray,” product-centric, campaign-driven approach to marketing is sure to fail. It exacerbates the problem by ignoring the buyer’s needs in favor of a tactical effort that relies on random chance that your effort will align with what the buyer is looking for. There’s no reason for today’s marketers not to give buyers what they want, when they want, through the channels they prefer. Marketing campaign success hinges on enough buyers being at the stage in the journey that aligns with the campaign offer or content. However, this is hit or miss – and more often, it’s a miss. Remember: Even a stopped clock is right twice a day. Even if Marketing manages a win here and there, it’s hard to repeat with a batch-and-blast approach. Plus, the few successes are drowned out by all the failures. Instead of falling back on this model, organizations must adopt an always-on/perpetual model. This shift in mindset and activities enables better buyer experiences because it harnesses Marketing’s ability to engage with prospects on topics that resonate with their point-in-time needs. Moreover, it empowers buyers to self-serve and consume content at a pace that matches their preference. There’s no reason for today’s marketers not to give buyers what they want, when they want, through the channels they prefer. While it might be fair to say that all marketers want to be considerate of the buyer’s journey, many get mired in day-to-day tactics. The key is to facilitate the buyer’s journey with a focus on improving the customer experience. A SiriusDecisions’ study of B2B buyer behavior found that an audience-centric approach to marketing across every stage of the buying decision positively impacts the buying scenario, whether it involves an individual or a buying committee.5 In fact, according to leading analyst firms that monitor the B2B marketing space, average aggregate lead-to-revenue conversion rates range from 0.3% to 0.75%. ANNUITAS clients that focus on customer experience close at rates as high as 3.5%. Improving the customer experience via ANNUITAS Perpetual Demand GenerationSM (PDG) works because PDG aligns with the buying process, identifying the buyer’s stage and creating a content dialogue that serves their needs throughout their journey. It starts with a deep understanding of buyers and the steps they take in their respective process. This understanding is the framework for a content model that is tailored to serve buyers at each stage. Yet too few marketers have ever mapped the buyer’s journey. 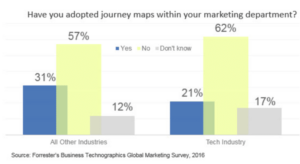 In fact, journey maps are used by fewer than a third of all B2B marketers, according to Forrester.6 Even those marketers who attempt to map the journey often do so based on input from Sales or Product Marketing rather than direct interactions with buyers. Relying solely on an inside-out approach to journey mapping is bound to come up short in understanding buyers and meeting their expectations. Elegantly nurturing by properly using Demand Generation and marketing automation. Treat nurturing as a two-way conversation by “listening” and responding to buyers as appropriate. For instance, rather than a set cadence for sending nurture emails, adjust cadence to best suit each buyer. Aligning inbound with outbound by using progressive profiling to gather incremental details about prospects over time. This way, no matter what channel the prospect is in, the company knows their information. Arming Sales with all the information that Marketing has collected to date about each individual buyer so that Sales can seamlessly pick up the conversation once engaged with a prospect. Organizations reap the rewards when they are deliberate about understanding buyer needs and passionately pursue the goal of satisfying those expectations. In short, they gain an effective Demand Generation engine that delivers measurable results. From an organizational perspective, the customer experience is about being in tune with the buyer journey. It hinges on being able to address the buyer’s pain points by serving up relevant information at the right place, at the right time, in the right channel. A strategy engagement with ANNUITAS includes detailed buyer research as well as content and nurture modeling that empowers the necessary two-way conversation between organizations and their buyers. Let’s Connect.